Do you ever look at e-mails, social media, cell phones or anything else exposing your name and think…What if I deleted EVERYTHING! I never think of that either! PARENTS! I am not saying you are doing anything wrong. I promise life is overwhelming at times and young parents today, have a great deal of pressure. Which is why I am writing this post. If you have times of glaring at your connections to the world and you feel overwhelmed, then your child is probably feeling the same way. Therefore, I am suggesting take time and DELETE IT! I know it sounds crazy, but when you are feeling overwhelmed with LIFE, make up a game with your family and have a delete it night. Explain to your children or partner, we are going to have a delete it night. sing it Example: Child- I made an F, my friend was mean to me, Work was awful today. Everyone is allowed to share what they are feeling overwhelmed, hopeless, or depressed about. Take time to listen to everyone’s sharing of their feelings. The point is to reverse the trajectory of your thoughts on what is and has been. Because you can’t change the past…no matter what! Acceptance that everyone has down times and feels like giving up. Allows everyone to see how life carrys on even when it feels cruddy at this moment…IT will get better! As always…God Bless and KNOW you are LOVED UNCONDITIONALLY! If you would like a little help with ‘Life’ let us know. 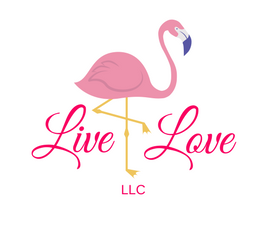 Livelove.teena@gmail.com and we will begin your Happy Coaching as soon as possible. This entry was posted in children, entertainment, family, guilt, Happiness, healing, Love, Not perfect, parenting, Relationships, Suicide and tagged Delete, depression, family, games, happy, havefun, howto, life, overwhelmed, parenting, parents on March 23, 2018 by teenadrake. Several years ago a small ‘pocket book’ was published illuminating this topic ‘Don’t Sweat the Small Stuff!’ The author gave scenarios and demonstrated how silly it is to worry and fret over the silly annoyances in life. I have each one of these books, to remind me to take life with a grain of salt. To seek the adventure life has to offer! Take the challenge allow your inner being to sing thru you. Once you have decided and began this journey of being in the moment and making decisions based on your inner feelings; you will always want to feel this way. However, in life we all have moments of sadness, irritation, aggravation anger that we must deal with from time to time. Recently I have found that freezing it in my mind, walking away and them come back to discuss or determine a solution is best for me. You see, in the past I would resist, argue, return ugly insults, ect. Now, I choose to not even utilize the negative vocabulary. Oh yes it creeps in at times. However, for the most part I choose a better reaction or to not react at all. It depends on the situation. For example: I had a conversation with a friend and she was in a bad moode. Everything was wrong in her life. Her kid was a brat, didn’t have enough money, felt trapped. Listening to her talk was almost unbearable. I just kept thinking, stay calm, listen there is a reason for this conversation. After a little while and multiple attempts to change the conversation I feared I would say something to offend her. (Remember I lost my filter at the first break in my leg lol). Anyways, she was finally called away. I love this person and she needed to vent! I allowed her to do that for a small portion of time. The only problem is I was carrying this yuk, negative, irritated weight of emotion for her. I cried for her, the pain was real. What do I do? Hmmmm I decided to plug in my phone and leave it home. I went to the pool and immediatly put my entire body under water. As I came up after a few seconds, I realized I had taken my own advice. I froze the situation and went to my fun happy place, water!!! (Yes, water of any kind takes me to a calm loving state). As I began my physical therapy I would search my paradigm for a good feeling thought. A vision of the future or a memory from the past. It was similar to the characters of Inside Out, running around plugging in emotions. Finally, I found a few to distract my negative emotion. Therefore, when I refer to Don’t Sweat the Small Stuff, I mean don’t sweat other people’s small stuff either. My mom would tell me in the past…you call me and compla in or discuss your relationships then you are off in an hour back to honeymoon phase. Isn’t that true? We all have that loved one who listens no matter what. Who loves us unconditionally who listens and cares so deeply that they will take on those emotions for us. My mommy does that for me. I try now to call or go see her after the fact and explain it’s all good. I don’t always remember, but most of the time I make the effort. Take time to enjoy. Remember the small stuff is not worth it. I would not have changed listening to my friend, she was having a legitimate melt down for a moment. However, next time I will send her the energy I did this time, I will see her feeling better, but I will not allow myself to sweat it or hang on to it!! I promise parents!!!! Most of the crazy, mixed up, emotions that follow parenting just means you need to keep following and reading my blogg. Because you can feel blissful even in the midst of chaos. Once you have incorporated a few simple techniques, you will be able to look back and say shew, we made it!!! And had fun while we were doing it!!! No matter what ‘Be Happy’!!!!!!! If it makes you happy do more of it. Find time to laugh, enjoy. Yes, sometimes you will be presented with a not so good feeling situation. But do not sweat it!!! This entry was posted in communication, Energy, Happiness, Love, Marriage, meditate, parenting, Relationships and tagged amazing, enjoy, frequency, hurt, learning, live, Love, parenting, relationships on July 13, 2017 by teenadrake. I remember thinking, hmmmm no I do not plan on it. Truly, I have already been there and done that. I can remember teaching with my friends and me telling them, I love kids because they haven’t accepted all the judgements, concerns, and hypocrisy of adulthood, yet. When I say I have already done that, I have. You see as parents we are forced to ‘grow up’ or as I entitle it, conforming to society’s demands. However, I always searched for a way to spice life up a bit, by creating a fun yet safe environment to just be free. While discussing parenting with some friends we all agreed, we should call and thank our parents for keeping us alive becausee we were fearless at one time. No barriers or connection to fear. I am not saying you should become frivolous and not care about anything. However, if you take time to create a list of your daily activities and it consist of work, eating, cooking, cleaning and sleeping, IT IS TIME!!! Time for you to grow down a bit. Begin searching for something fun to do once a week. After you begin this journey you will search for more and more. It will become your quest. If you are a parent with children at home, my advice to you, is create a family fun time and an individual one as well. When my kids were little I would take a ‘Me’ day. (Probably Eric thinks I live in a me day, now lol). When we didn’t have money to go out, I created family fun days, For example: we had Wacky Wednesdays. Wacky Wednesdays or Terrific Tuesdays, Freaky Fridays, it doesn’t matter about the day or title. I knew we had to eat anyways. Therefore, I would make it fun!! Sometimes it was our attire: we all had to wear a hat, a tie, our clothes inside out, or maybe even pajamas. I would light candles, play music, allow the kids to help cook and set the ambiance. There were very few limitations (safety first). Sometimes it was a disaster, but I continually remember even the disasters were beautiful. We did everything from desert first, colored our food, and/or special music by the Drake kids. One of my favorite memories is – the evening we had saved to purchase some nice steaks, ice cream and toppings for the ice cream. We began with allowing the kids to create a ‘snow ball’ out of ice cream and roll them in the toppings, of their choice. They ate them first because life is too short to not eat dessert first!!! At that point I realized what was happening and I began to laugh hysterically. The kids were sitting paralyzed, appearing to be in a trance, as well as holding their breath. They all three fixed their eyes on daddy to see if he was mad. Therefore, a ten second period of silence felt like an eternity. Next we all begin to let out a little giggle and one by one each of us began laughing until our cheeks hurt. Regardless of anything negative happening the end result was all we needed. To laugh, giggle, and let go. It’s time for you to choose to enjoy!!! If you have five wonderful events fall into place which creates happiness for you, yet one not so happy slips into your realm, similar to our meat incident; focus on the other five! If you can laugh at your one negative situation and quickly switch it around, then do that. No matter what take time be grateful for the good moments and guess what? More and more good moments will occur. There is a time and a place for everything!! I agree growing up isn’t so bad! As long as you promise to return to the bliss, honesty, and freedom of being a child occasionally, you will have a great life and happiness will fill your soul. God loves you no matter what!!!! Remember to be happy even if it requires returning to a time when your life was much more simplictic. This entry was posted in children, communication, Education, Energy, entertainment, family, friends, Happiness, Love, Marriage, meditate, parenting, Thank you and tagged creating, Happiness, Joy, live, living, Love, parenting on July 9, 2017 by teenadrake. Picking up my baby boy has never been so exciting! I didn’t realize until today that we are a cell phone addicted family. Okay so I am a cell phone/ message addicted mom. I have not received a message or heard his beautiful voice in over 24 hours. I know that sounds crazy, but I can’t remember a time that I haven’t or been able to speak with him, because we always have a phone on us. His has been stolen! My only hope is that I don’t burst into tears, jump up, and run screaming when I finally see my baby boy. Okay, I know that was a great visual! I won’t do that, gosh I thought you guys would have more faith in me than that. Shhhh I will let you in on a secret, I don’t have that kind of faith either! I am writing to keep my mind off of it. Lolololol!!!! Ohhhh wait, could it be? I think I see him Yayayayaya I am literally tearing up. Okay have a great day everyone I will blog later. I have to go be an estatic mommy with tears, screaming, laughter, hugs and kisses too! This entry was posted in adventure, children, Energy, family, God is good, Happiness, law of attraction, Love, memories, parenting and tagged excited, family, Love, parenting on June 16, 2017 by teenadrake.